Posted 1 April 2019 . The City has acquired Customs House from the Commonwealth Department of Finance, having leased and managed the building since 1994. "Customs House is one of Australia's finest buildings and I'm delighted it will remain in public hands," Lord Mayor Clover Moore said. "From 1845 to 1990, Customs House was the gateway to Australia, welcoming goods and people through its doors. Four years after the Australian Customs Service moved out, the city began leasing and managing the building, transforming it into a wonderful public space. "It remains one of Sydney's most iconic buildings, welcoming a million visitors through its doors each year. It's a cultural centre, public library, exhibition space and provides commercial offices, cafes and space for events. It's also home to an ever-evolving scale model of our city centre which is loved by children and visitors. 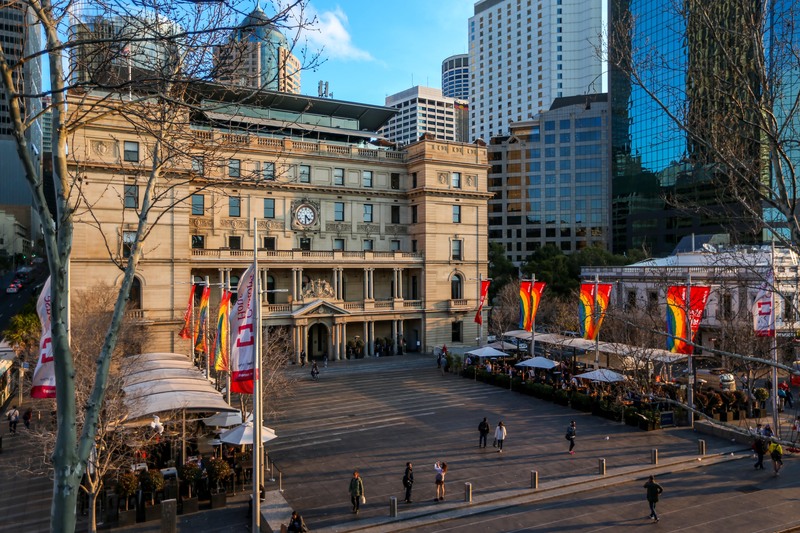 "The building has hosted Olympic live sites and Vivid light displays and, with its proximity to one of Sydney's busiest public transport hubs, it has become a popular meeting place. "We will now look at how we can improve the building to ensure it remains a valuable community asset for generations to come." City Historian Dr Lisa Murray said the 174-year-old building has had a rich history and served as the original gateway for imports into Sydney. "The role of customs, powerfully symbolised by Customs House at Circular Quay, has always been a dual role of revenue raising through taxing trade, and protecting society from socially unacceptable goods, products, ideas and diseases," Dr Murray said. "In Sydney's early days as a commercial centre, smugglers were active not only in relation to banned goods, but to any goods which attracted a significant tariff. Opium for instance was legal until well into the 20th century, but attracted a high tax, so it was at the centre of many smuggling scandals. "The government first introduced income tax during World War 1. Prior to this, customs income was the chief source of government revenue. "As late as 1924, customs tax still contributed more than 70 per cent of the nation's revenue, meaning Customs House played an enormous role in funding Australia during the early years of federation." For interviews with Lord Mayor Clover Moore, contact Jack Begbie.